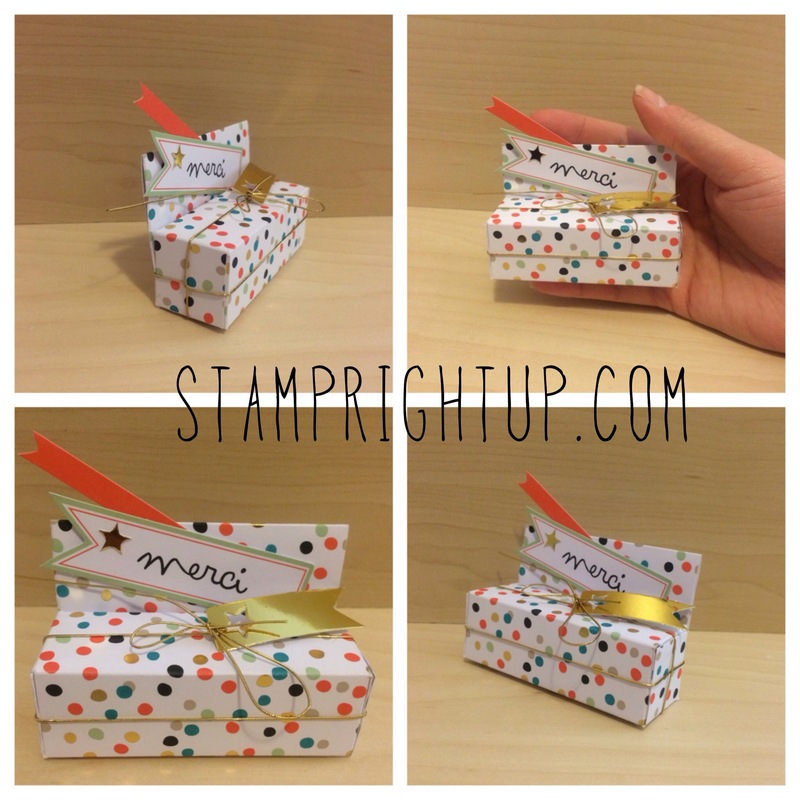 Workshop | Stamp Right Up! 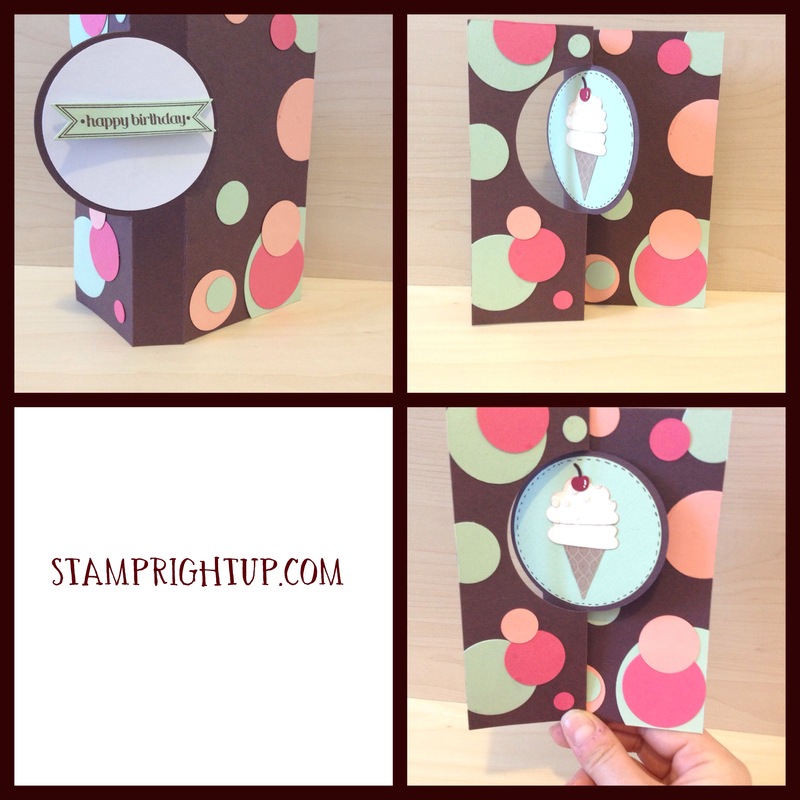 Stampin Up Workshops in New Westminster & Fraser Valley area now available! Yes – you read that correctly, I’ve moved!! I am now located back in New Westminster, British Columbia and providing classes & private workshops to the Vancouver, New Westminster, Surrey and Coquitlam areas. Hiya Stampers!! Well, it’s still winter here in Montreal and the roads have been ridiculously icy – but thankfully not so bad that people couldn’t drive. 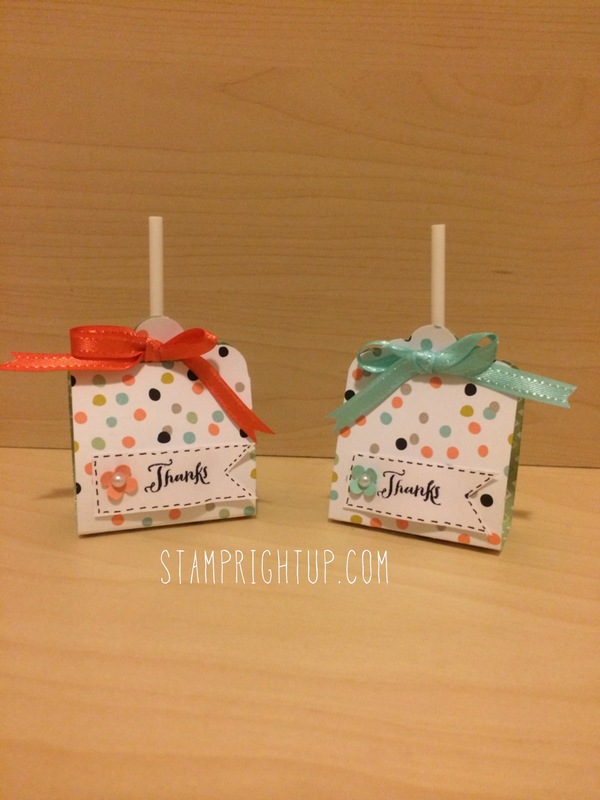 I held a workshop recently to celebrate the release of Stampin Up’s new Occasion catalog. Special thanks to Emily for the inspiration for this card!! We also did a 3D project: a post it note holder. This will be coming soon as a tutorial – so stay tuned for that!! Hiya Stampers!! It is still FREEZING in Montreal. Like gross cold. Which, as always, gives me a great excuse to not have to go out, which means I can play in my craft room!! Yay! I just moved to Montreal on October, and everyone tells me that this is an unusually cold winter. Like that makes me feel much better – it was TWENTY degree difference from back home (Vancouver) to here last week. 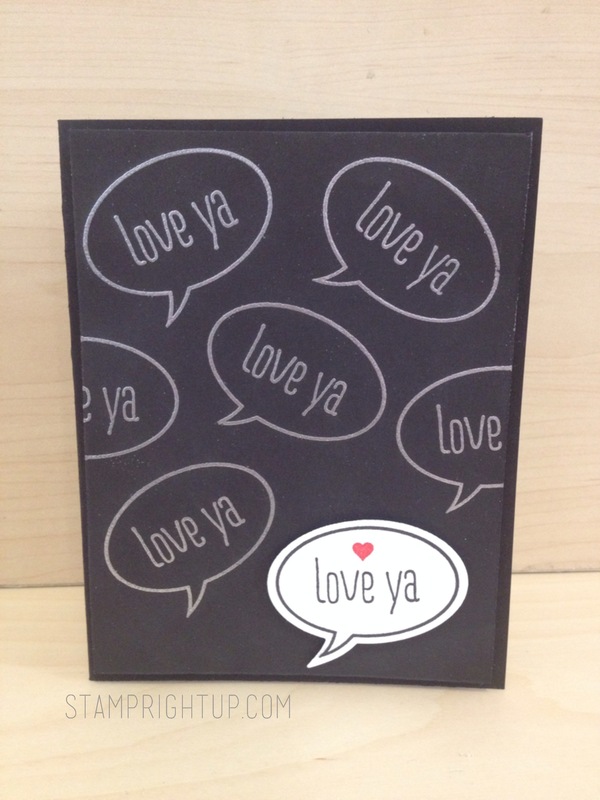 So, here is a sneak peek at one of the cards that we will be making in the Valentine’s Day workshop this month using the new “Just Sayin” stamp and die bundle that Stampin Up just released in their new Occasions catalog last week. 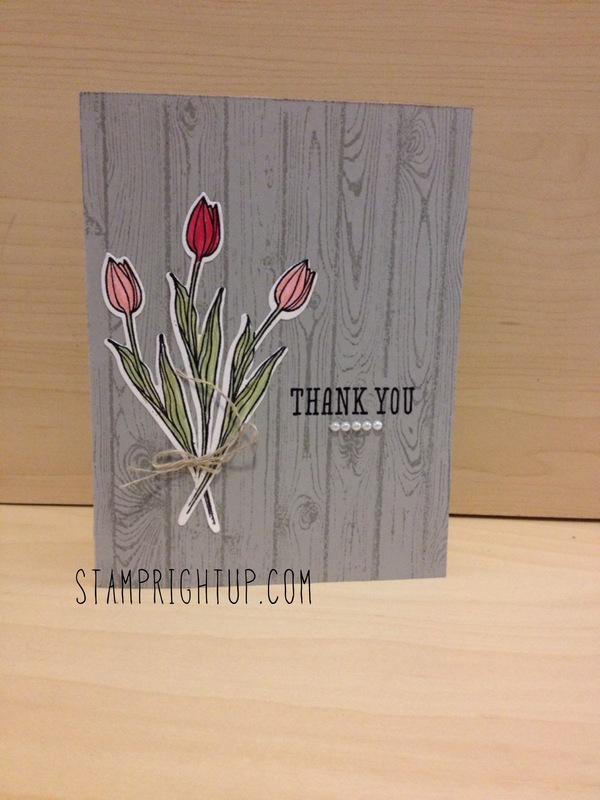 Thanks for stopping by stampers!! Don’t forget – your comments are welcome and appreciated!! Well, it’s -19 in Montreal today. Yep. MINUS NINETEEN!! Which gives me the perfect reason to not go out, and stay in my craft room all day!!! 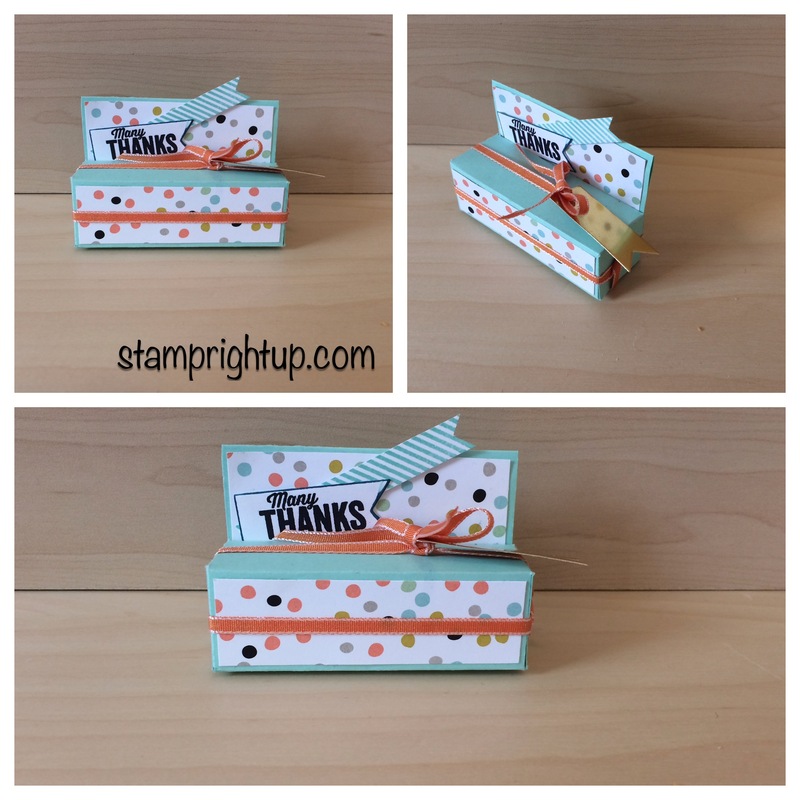 Using all the latest items from the NEW Occasions catalog this workshop will feature 4 projects: 3 cards and one 3D project (like a post it note holder, or gift box, etc). But that’s not all!! 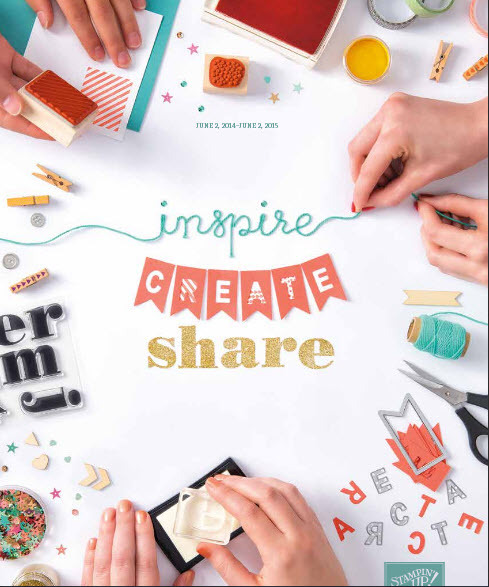 To celebrate the release of the new catalog, each attendee will receive a free copy of the new catalog and a FREE GOODIE BAG just for attending! 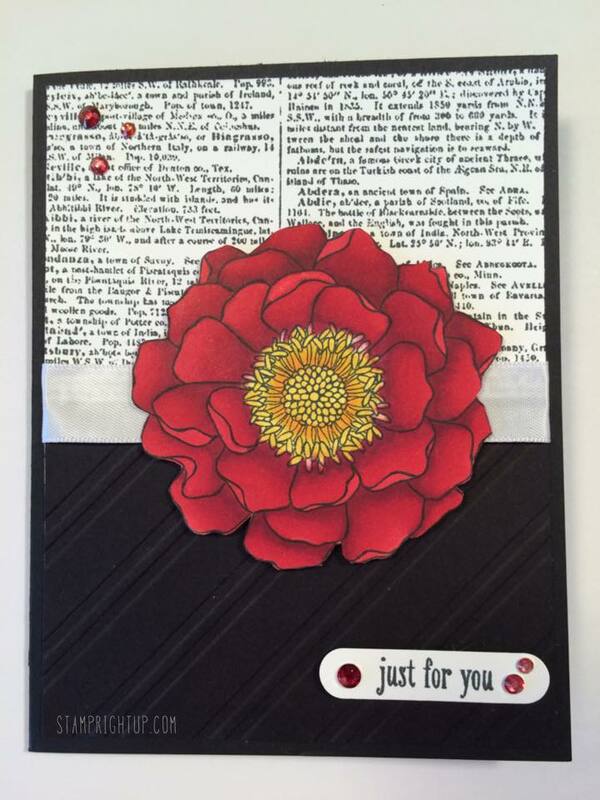 Featuring 3 different cards: two feminine and one masculine card, this workshop will feature many different techniques including wet embossing, die cutting and more! 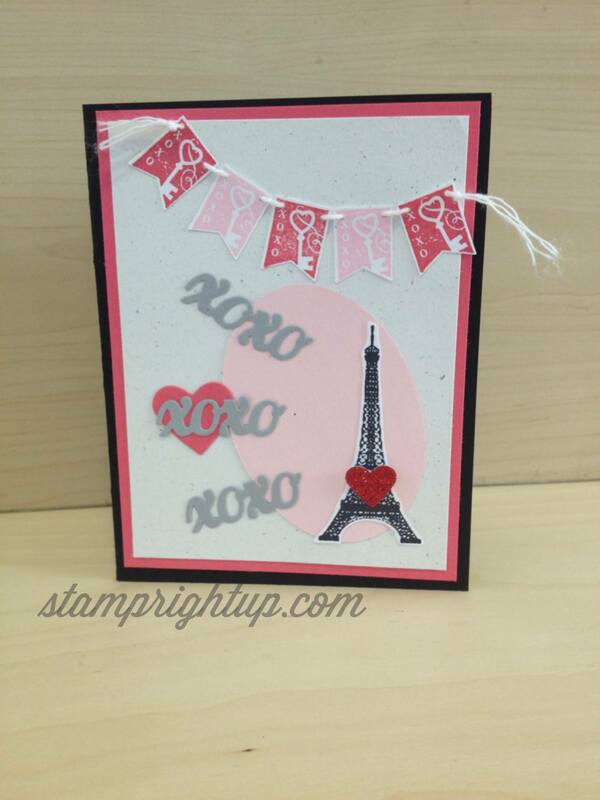 We will be using the limited edition “Follow My Heart” stamp set for this workshop – there is something romantic about the Eiffel Tower is there?! *sigh* And being in the French province of Canada, I thought this stamp set was very apropos this year. 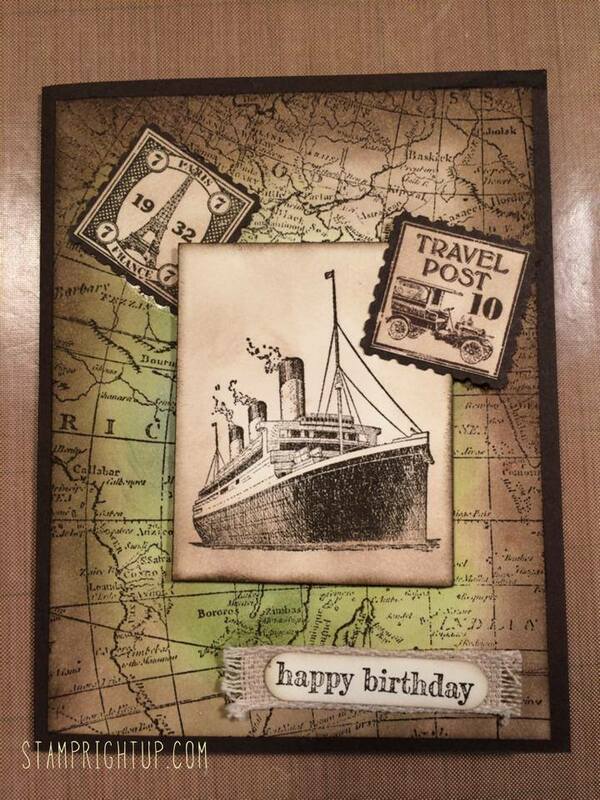 Be sure to register for this card making workshop if you are in the Montreal area – the class fee is only $15. 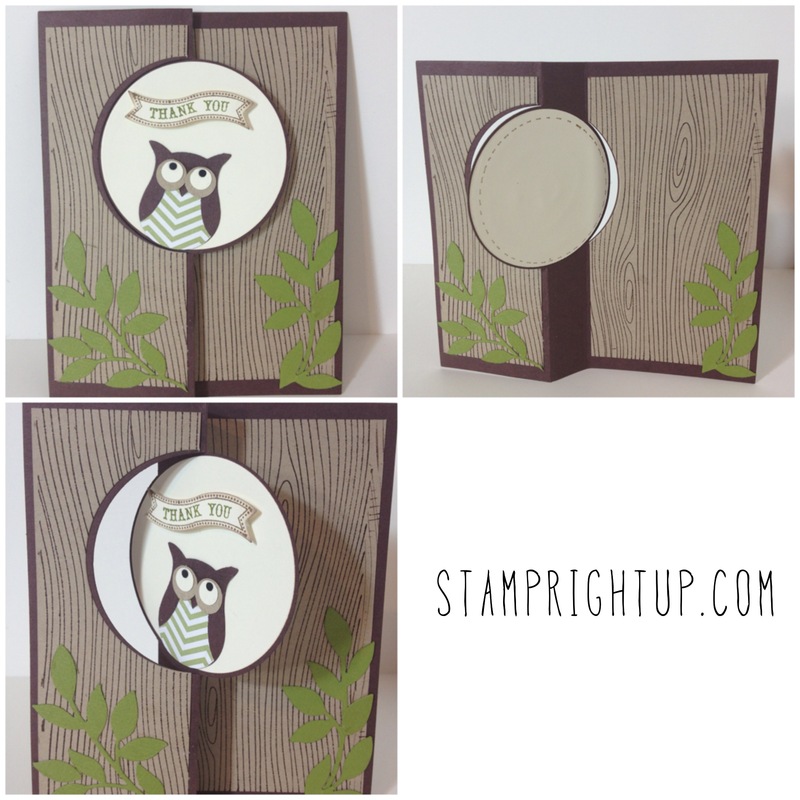 Using the owl punch from Stampin Up, this workshop will feature three different cards using one punch. I love this punch – it is so versatile that it was the very first item I bought when I started out! This class is suitable for all levels of crafting experience. All instruction will be done in English, however some stamps and catalogs may be available in French.